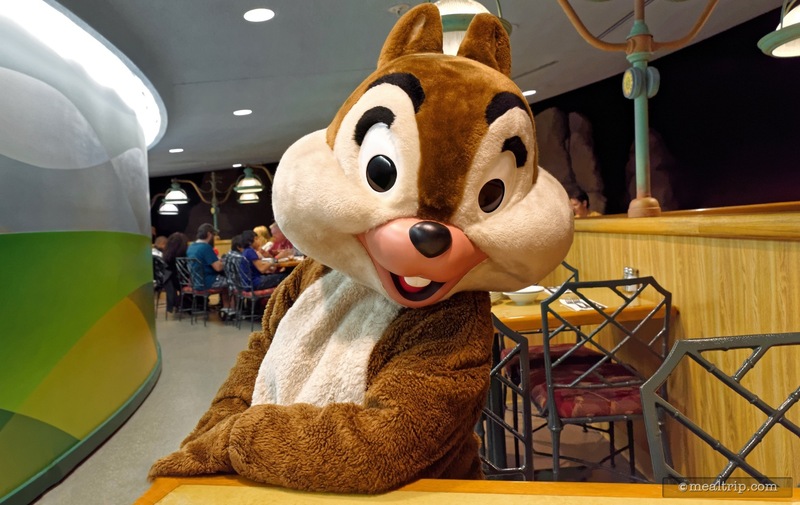 Have lunch with Chip 'n Dale and a few other popular Disney characters dressed in their finest farm-inspired outfits at The Garden Grill, located in the Land Pavilion at Epcot! The slowly rotating restaurant will whisk you by several scenes from the Living with the Land boat ride below including the rain forest, the farmhouse, a sandstorm and the prairie scenes. 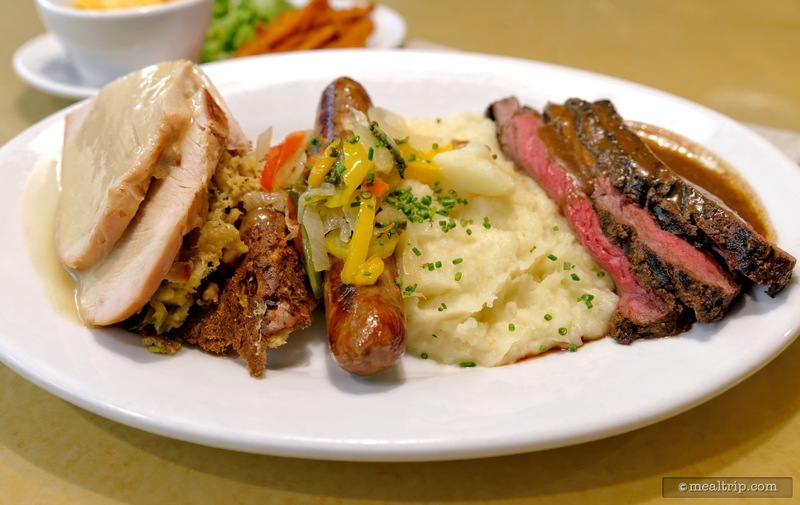 Lunch is served family-style and all you care to eat! 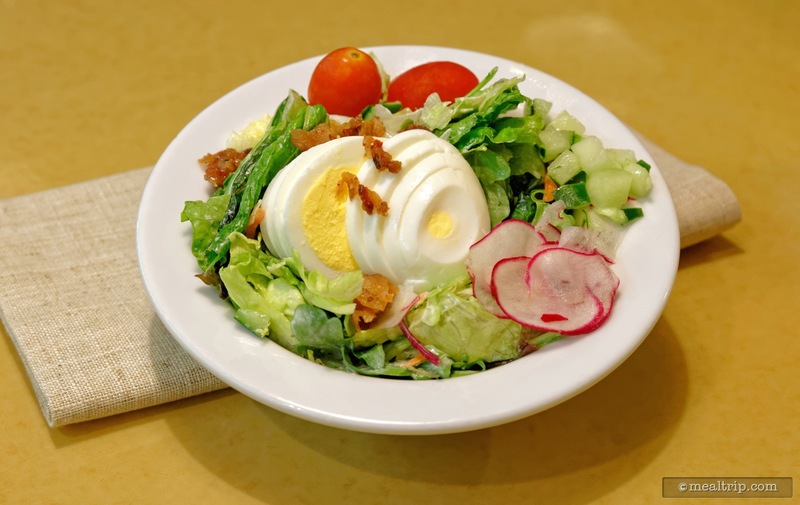 A starter salad usually features items that have been grown on-site, in the Living with the Land Greenhouse, such as cucumbers and other seasonal elements. 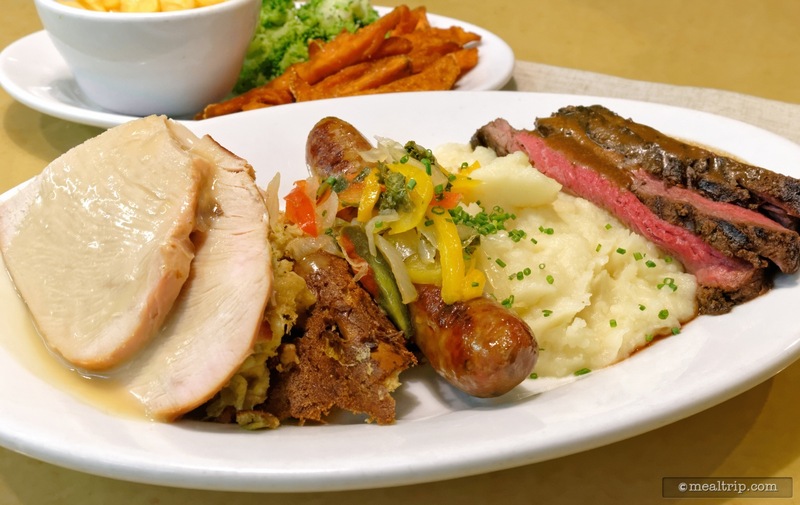 The main dining platter usually contains a beef item, all-natural turkey and sustainable fish selections along with sides such as buttermilk mashed potatoes and seasonal vegetables that are also grown on-site. For dessert, there is a warm fruit skillet cake that varies seasonally. Standard beverages are included, while beer and wine are available at an extra cost. 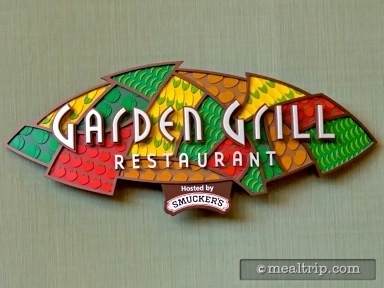 Characters at The Garden Grill usually include Chip and Dale, along with Pluto and Mickey, all clad in their finest farm outfits. There is ample time to spend with the characters as they make their way around the restaurant. 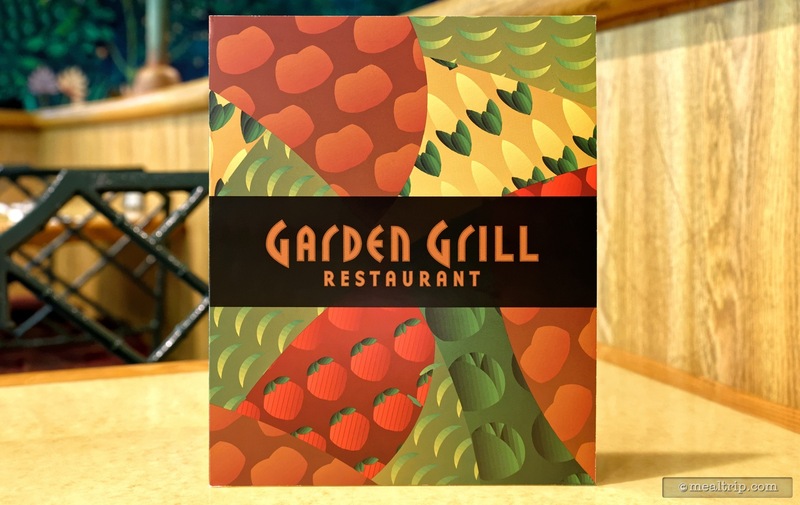 The Garden Grill Restaurant is located on the upper level of The Land pavilion in Future World. The "upper" level in this case, is actually the level that you enter the Land pavilion on… you would have to go down one floor to find the cue for Soarin' and the "Living with the Land" boat ride. The Garden Grill (aka "Chip and Dale's Harvest Feast") is a character meal which usually includes Chip, Dale, Pluto and Mickey working their way from table to table, meeting with guests as they dine. While the main feature here is obviously the character interaction, the food here is also quite good. 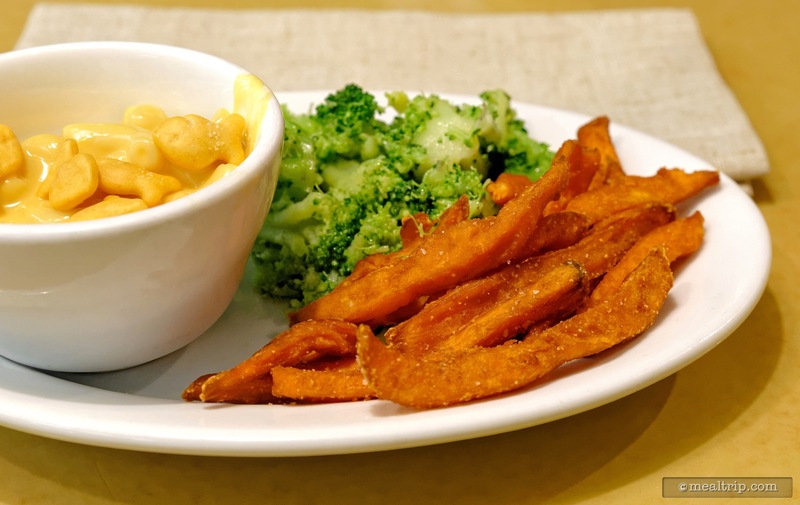 As with most buffet or family-style meal periods, the culinary is "normalized". Meaning... everything has to appeal to the largest number of guests possible. I always wince a little bit when I read a "character dine" review that states "the food was okay, but you're not here for the food". I think that has led to some confusion about character meals having "bad" food over the years. I don't buy into the "bad food" premise at all. It's just that most spice notes, flavor layers and textures in culinary are very specific to your likes and dislikes. 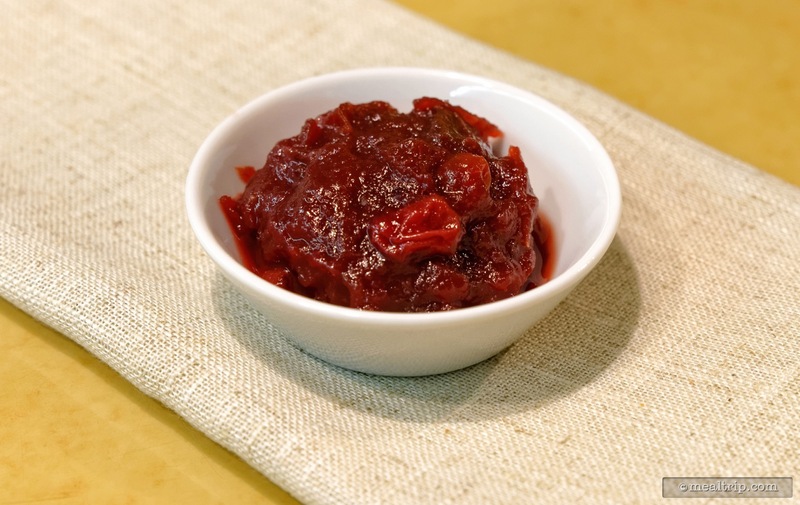 On an a la carte menu, if you see "paprika"… and you don't like paprika… you don't order that item. 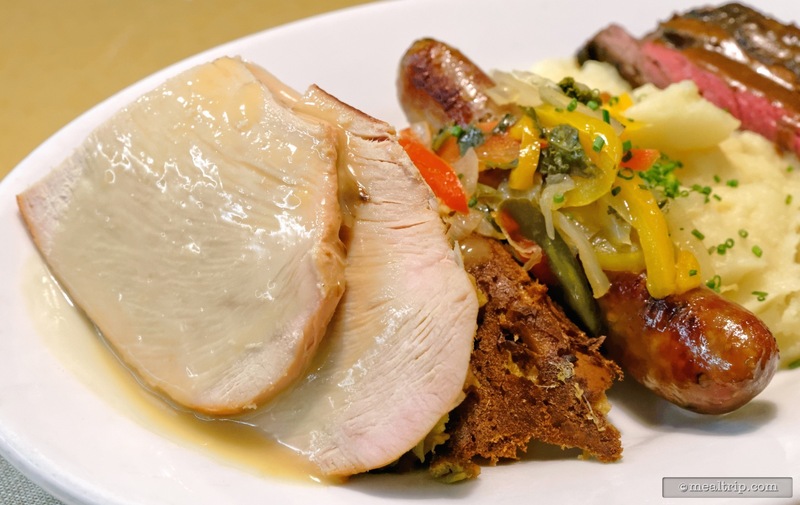 But in our "case in point" here at Garden Grill, when there are only a handful of items on the family-style platters to begin with… you can't really plate something that will only appeal to one out of every five or six guests. That can sometimes lead to the "samies"… where everything is so similar, that no single items stands out as being amazing to your palate. 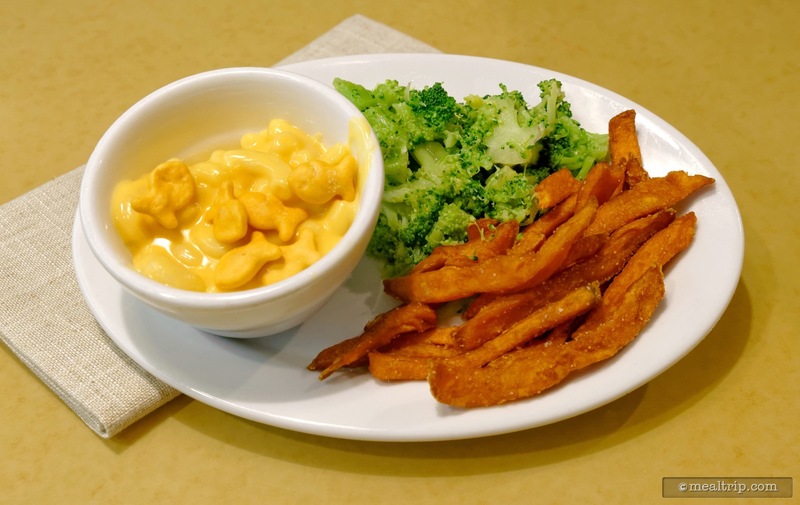 The Garden Grill food has always seemed to be one notch better than your typical character buffet… as long as you understand this is straight-line American cuisine… Sliced Turkey Breast with Turkey Gravy, Mac and Cheese, Seasonal Vegetables, etc. 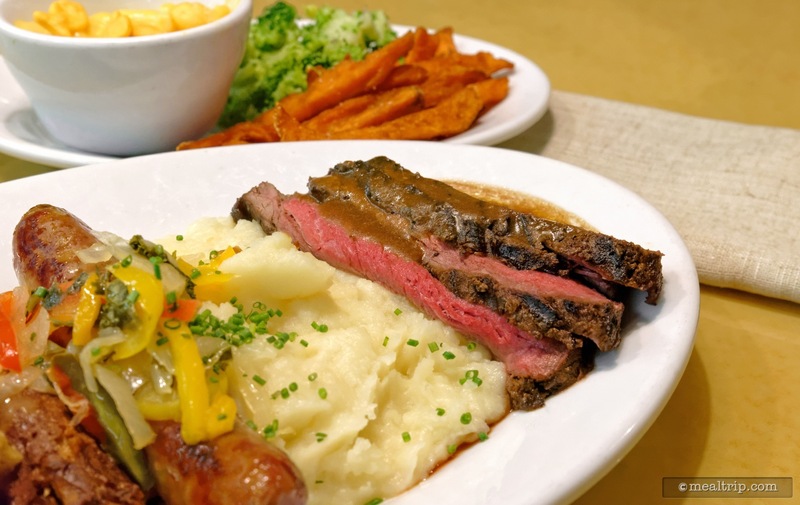 I have never left the Garden Grill hungry, because everything is "all you care to eat", and you'll almost definitely find something on the large platter-o-food that really speak to you… enough to get a second helping perhaps. For me (here of late anyway) it's actually been the Italian Sausage with Sautéed Peppers and Onions… which is a rather new addition to the platter. As I mentioned above, at dinner… you'll get a basket of rolls on top of all of the other foods mentioned above. Honestly, I didn't miss them at lunch. They're good rolls… I'm just not sure they're worth the extra cost of going to "dinner". The restaurant itself does rotate, and over the course of an hour (give or take) you'll get to see a few of the scenes from the Living with the Land boat ride below. The lower level seating features booths that have you looking at the "wall" which quickly turns into the various scenes. On the second level (we're only talking about a step or two "up") there are tables and chairs (not booths), and a bit more room to meet with the characters. 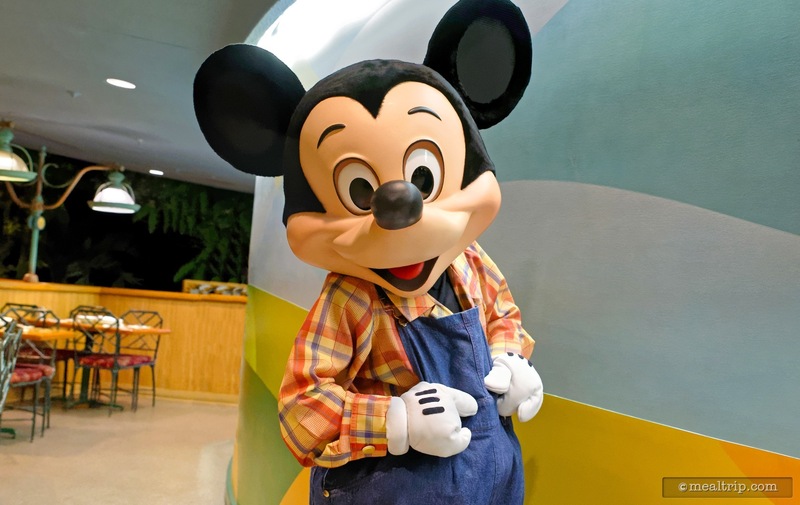 The view isn't as good up here, but it's a lot easier to get in and out of a chair in order to interact with say… Farmer Mickey… than it is to scootch your bum across 6 feet of booth seating to go hug your favorite character. There's plusses and minuses to sitting on either level. 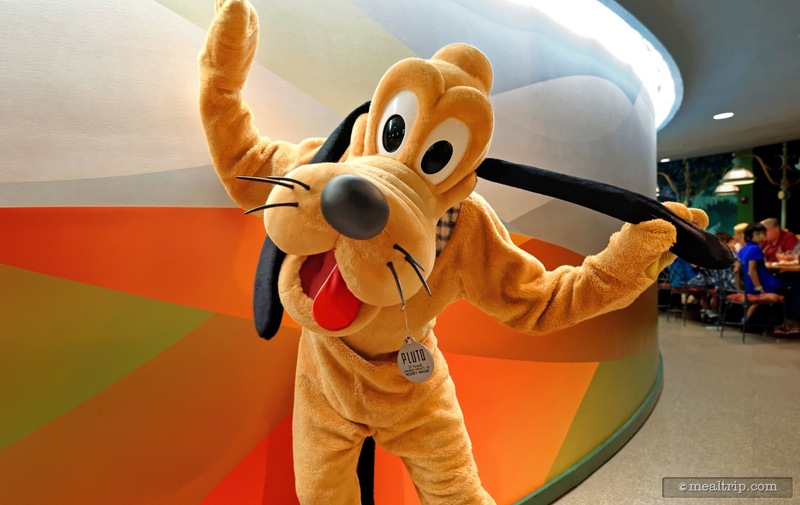 The characters at the Garden Grill are usually spot-on energetic and fun to be around. I always like going toward the end of the lunch period when they tend to be… a little silly, happy, punchy that their "shifts" are almost over. 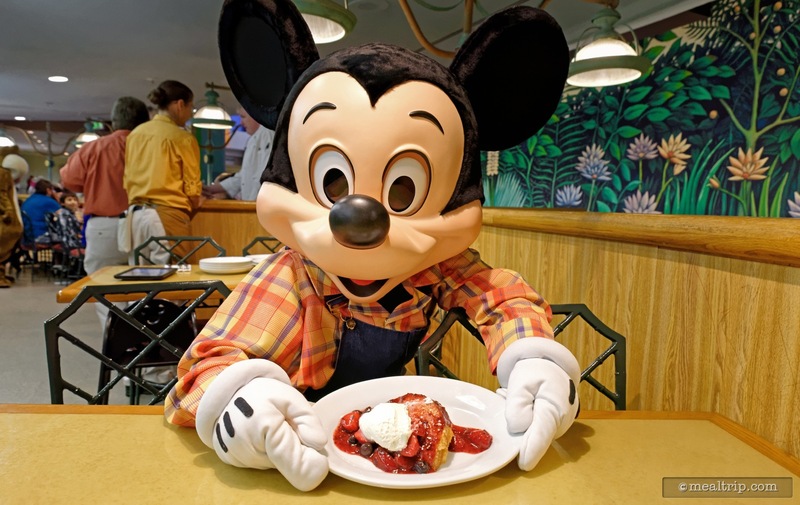 Even at peak dining periods though… there's plenty of time to see and interact with all of the characters, multiple times over the course of a typical meal. While Pluto and Chip n' Dale aren't "dressed" up per say… this is about the only place you'll find Mickey dressed in his farmer overalls. It's a good look for the old chap. At the end of the day, I like the Garden Grill a bit more than buffet-style character dining locations. The rotating room and "Living with the Land" scenes are cool to watch go by… and because the food is served family-style… I don't have to run up to a buffet line every five minutes. 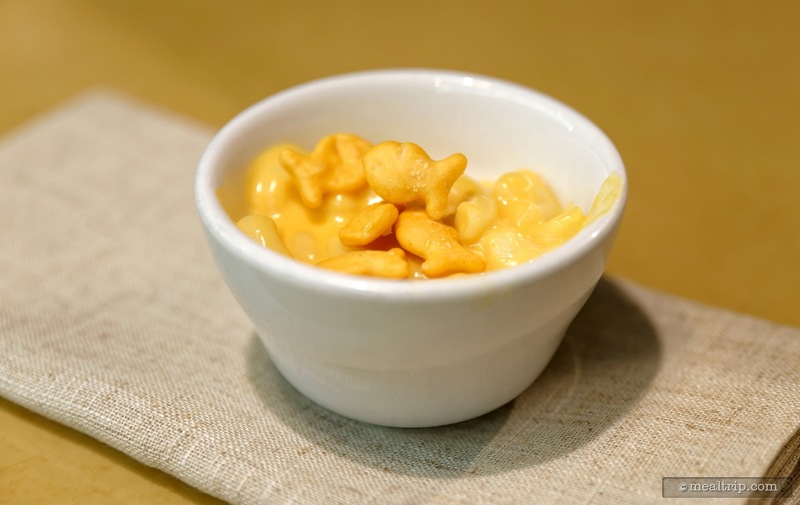 If you see one or two things on the menu board that you would like to eat… I say give it a go… even if there are no children in your dining party. The characters here have just as much fun meeting with adults… as they do the youngsters! CLICK HERE to view all 24 images in our photo gallery.